Well, this is the second part of my review for Ben's Kitchen. We didn't actually stay long here during our first visit so I did not have much time to look around the area and also to try their other specialties as written on the menu. 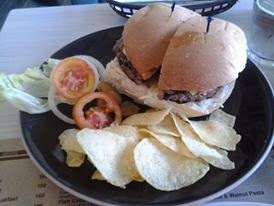 Out of curiosity and since I was quite satisfies with what we had on our first visit, my daughter Mika and I decided to have an afternoon snack at Ben's Kitchen right after we watched a movie. After seeing the order, I am convinced by the fact that we can't really finish everything. 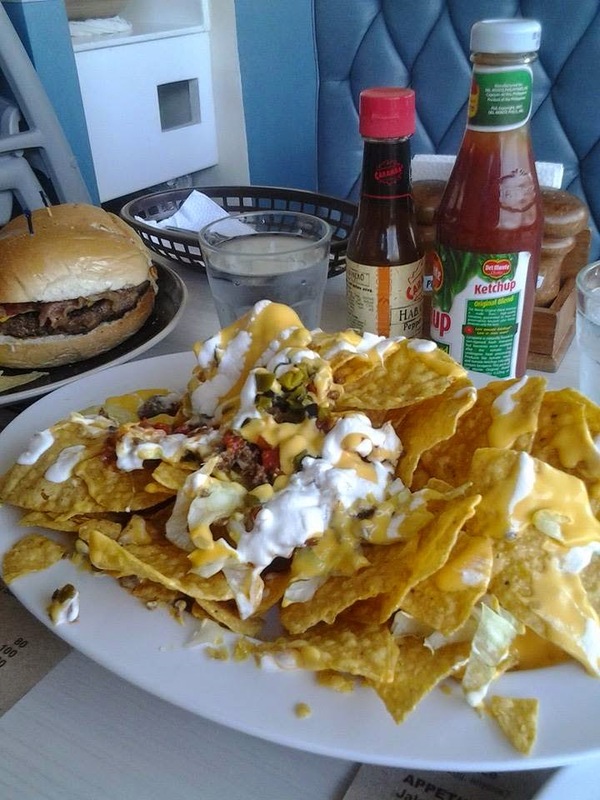 The Nachos is really good and crispy and the cheese tastes heavenly. The Hamburger sandwich is also very big and just looking at the two orders, we really thought that we have to stay the whole afternoon there to finish everything. The brewed coffee is so fresh as usual but I was a bit disappointed that I have to wait long to have my second cup served. Well overall, Ben's Kitchen by Extremely Expresso did not fail to satisfy me, and of course Mika, as my daughter is very fond of American foods.